Do you ever feel uncomfortable in social situations, especially around people you’ve never met? Are you envious of that person who is always the life of the party,appearing so confident, and having fun, even in new situations. If you have given up hope that you will ever be less than awkward in a social setting. Or if you believe that you are destined to stick to the back of the room, or hang like a picture against the wall, this blog is for you. I believe there are some things you can do to learn to be more outgoing. 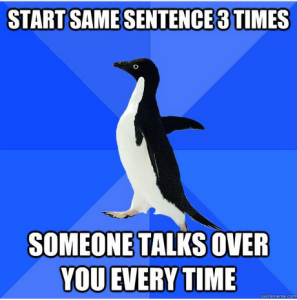 I think most of us face some degree of social anxiety. There are many different levels ranging from severe (afraid to leave your house) to very mild (not a huge fan of making small talk). But I imagine most of us fall somewhere in the middle. Some of the ideas I discuss below might work for you some may not and some may just be a good reminder, but I believe these tips could be a great starting point if you have always wanted to be more outgoing, but just haven’t had any idea how to do it. Realize fears are normal. Many of the people in the room are feeling the exact same way you are. Socializing is a perfect opportunity for rejection and no one wants to be rejected. If you start talking to someone, it’s a real possibility they may find you boring. You can’t be fascinating to everybody! But at the same time, there will be some people who think you are interesting and fun to be with, and if you never take a chance, you will never know. So push through your fears. Sarah admitted to having worried about getting people to like her: It’s natural to worry about whether people will like you or not. The truth is, some people will like you, and some people won’t. You can’t control either. Lighten Up Don’t take things too seriously. This includes not taking yourself too seriously. It’s not the end of the world when something bad happens to you, and many times being able to laugh at yourself, or finding something funny in the situation is not only good for your own sanity, but it’s also funny to other people and lightens the mood. Brandon agrees: A person can be funny if they laugh at themselves and don’t take themselves too seriously and is always positive. Ultimately, this is the most important thing. You don’t want to be someone who comes across as a person who is just trying to get attention or that person who can’t stop talking about themselves. Melissa admitted to feeling pretty socially awkward most of the time. It’s hard to find the balance between not trying at all and trying too hard. Take a sincere interest in the other person. People are flattered when someone takes a sincere interest in them. Keep the conversation about them by asking lots of questions. Key in on the things they bring up and ask follow-up questions to get more information. David said he loves it when people take an interest in him. If someone asks me a good question about what I do for fun, or what I like, and then really listens, it makes me feel like they could be a friend. That’s how I hope to be to other people. Learn to read body language. You don’t want to be that person who traps someone in a conversation that they can’t escape or to be the last one at the party who hasn’t picked up on the fact that it is time to go. Look for non-verbal clues. If you notice them folding their arms, or stepping back, you may be standing too close for their comfort level. If they are staring over your shoulder, searching the room for someone else, you may need to end the conversation and let them go. If they start picking up the dishes or yawning a lot, it may be time to go. Take a friend. Entering into a new social situation is always easier if you go with a friend. It helps to know someone who likes you is there cheering you on as you begin reaching out to new people. 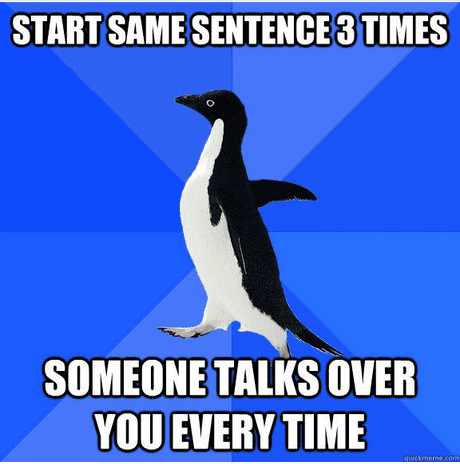 This is great practice for when you have to be in a social setting alone. However, avoid spending all of your time with your friend, or appearing like you are having a private conversation. People will think you’re not in the mood to socialize. Remember, your fears are very normal. Just relax. The people who appear to have an easy time socializing are the ones who have had a lot of practice. You will find the more you work on some of these points, your fears will decrease, and you will look forward to the new adventures, and interesting people you will meet, as you act with courage and confidence. 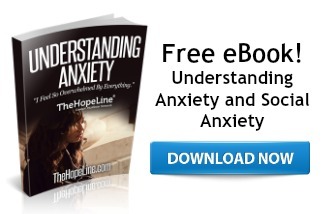 For additional help and information on Social Anxiety download our free eBook, Understanding Anxiety! Thanks for this blog! I’m going to send it to myself. I just turned16 and my mom wants me to take care of my younger brother and sister all the time. She constantly yells at me and even though I make good grades in school she is making it hard for me. to do anything. Lexi have you tried talking to your mom about your situation? Sometimes as a parent we do not realize that we are putting that much on our child.